The year 2014, according to Chinese horoscope, is the Year of the Horse. It is considered to be a very lucky year when it comes to money matters, particularly those born under the animal signs of the Horse, Rat, Rabbit and Rooster—at least, as believed by those who practice feng shui. But of course, regardless of what your animal sign is, improper credit card management is only bound to lead to some really unpleasant consequences, lucky year or not. These consequences may include collectors bugging you every other day, or worse, getting deeper in debt trying to pay off previous credit card debts. Pay more than the minimum amount. If you have credit card debt, you may want to pay a little more than what you’re expected to pay on a monthly basis. By making higher payments, you can eliminate your credit card debt faster than it would take if you opt to just pay the minimum. Paying more than the minimum also helps you avoid accumulating more debt on interest. There are certain signs in the Chinese horoscope, particularly the Dog sign, that are also predicted to have an excellent year ahead—financially and professionally—but will have trouble saving money. Don’t let these predictions deter you from achieving your goal to save more this year, by making sure to limit the use of your credit card to important purchases only. Create a timetable for paying off your debts. The Year of the Snake has come and gone, and 2014 promises to be a crucial year for the Snake sign. A snake’s loyalty can be proven over time, and time is something that’s also crucial to your credit card management. If you’ve a sizeable credit card debt, it would be a good idea to establish a specific timeframe wherein you intend to pay off that debt. Make sure your timetable is a realistic one. Otherwise, it’ll only be another source of stress for you. Stop using cards that have balance. Certain animal signs, like the Rabbit for example, are predicted to have a 50-50 year when it comes to money. Because of this, it might be a good idea to stop using cards that already have a tremendous balance to avoid getting buried deeper in debt. On a year that can go either way when it comes to luck, it’s best not to take chances. No matter what animal sign you may fall under, or how seriously you take the Chinese Zodiac signs, one thing is for sure: you definitely need to establish a more disciplined approach to your credit card use and management. 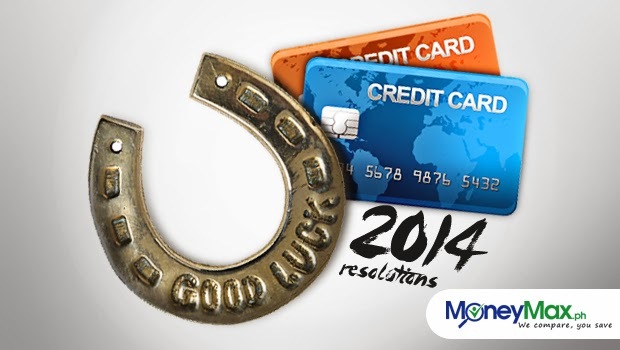 Doing so will definitely lead to a prosperous 2014, regardless of your sign. * MoneyMax is the Philippines’ foremost online platform for comparing financial and telecom products and services – fast, comprehensive, and free. We aim to give the power of smart purchase decisions back to Filipino consumers by providing everything they need to become financially savvy. Find out more at MoneyMax.ph.